Good day to all those decor enthusiasts that can’t wait to start the Christmas decorating! I know that you are looking for some fresh ideas. Do not worry, as you are on the right place. Let’s start all the way from the entryway! 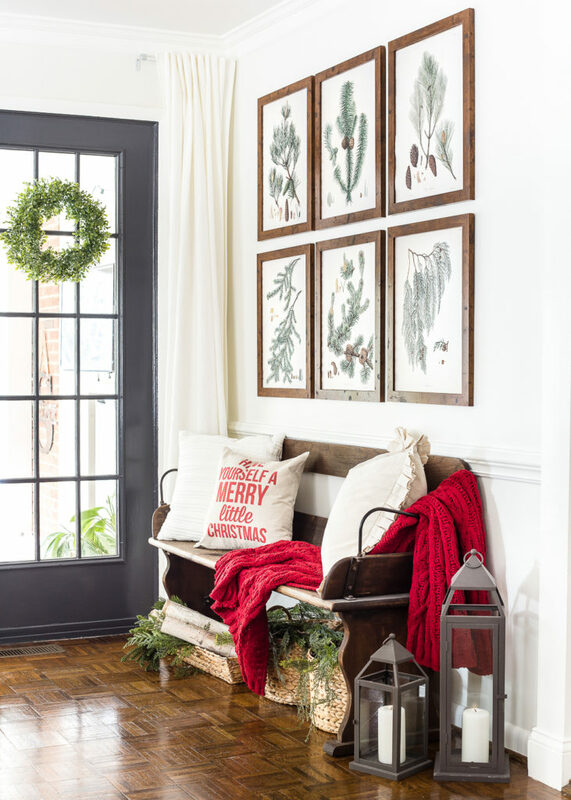 This is the place that gives the first impressions about your home, so that’s why I have some Christmas Entryway Decor tips to share with you. Read on and find out more! 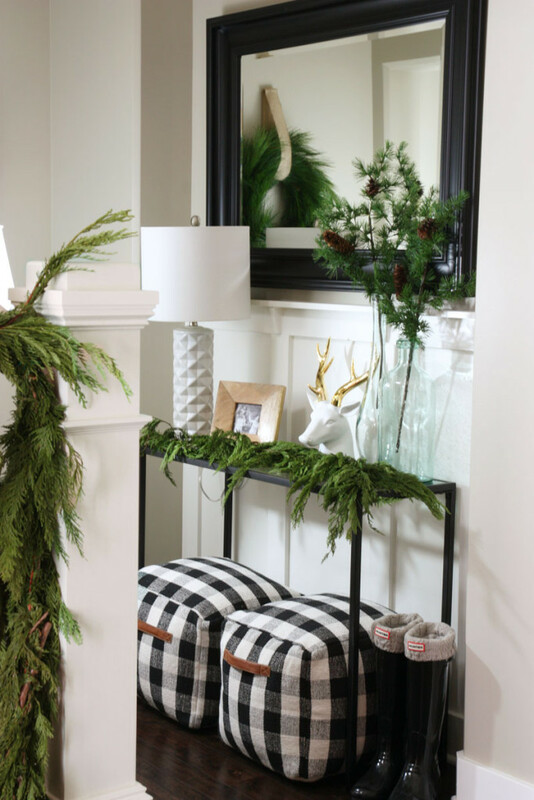 If you have a long rectangular bench in the entryway, then this is a huge advantage. 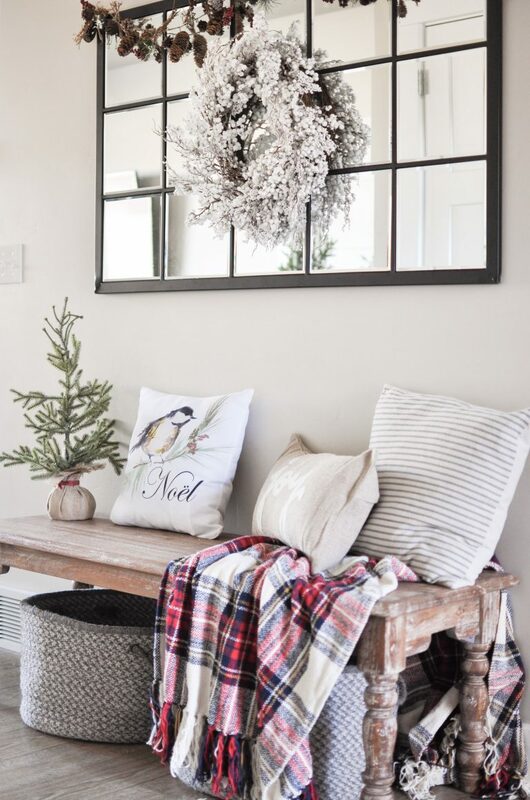 You can instantly boost up the mood with a few Christmas-themed throw pillows and a cozy blanket. 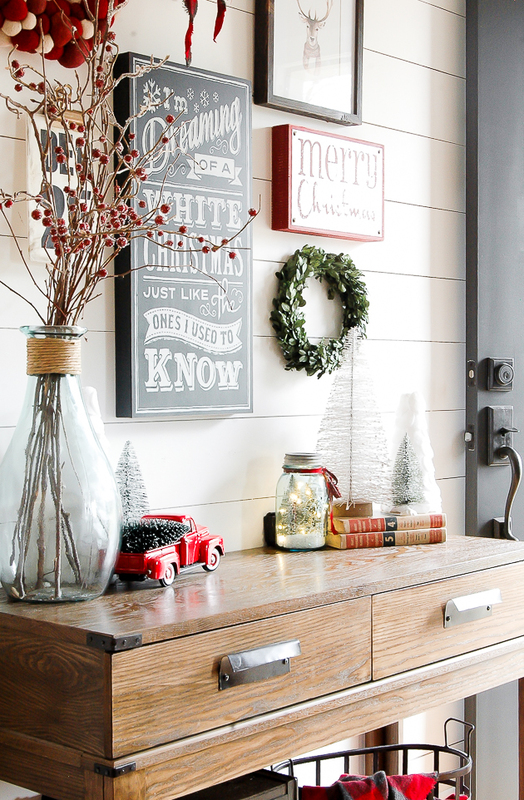 Add a wreath on the wall to anchor the space.